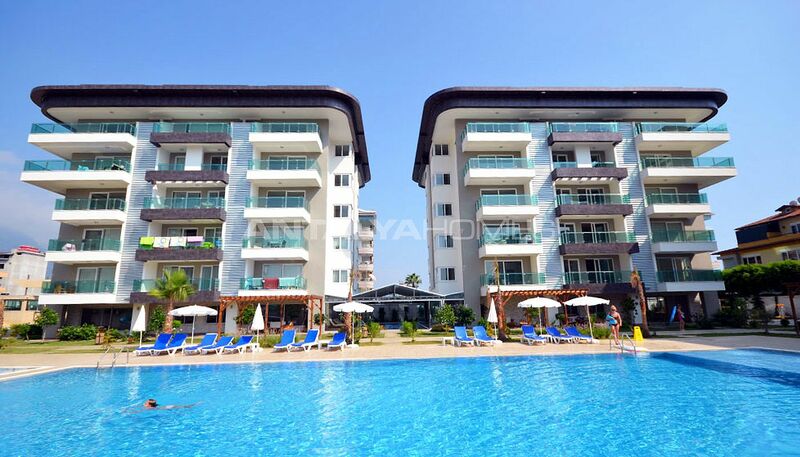 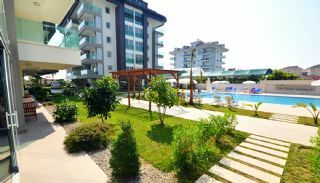 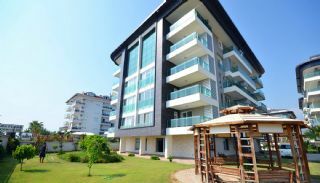 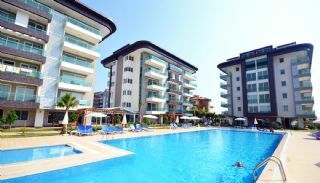 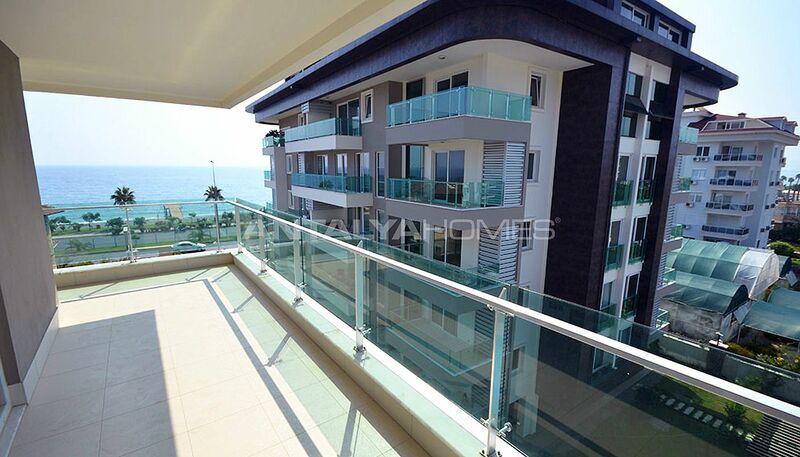 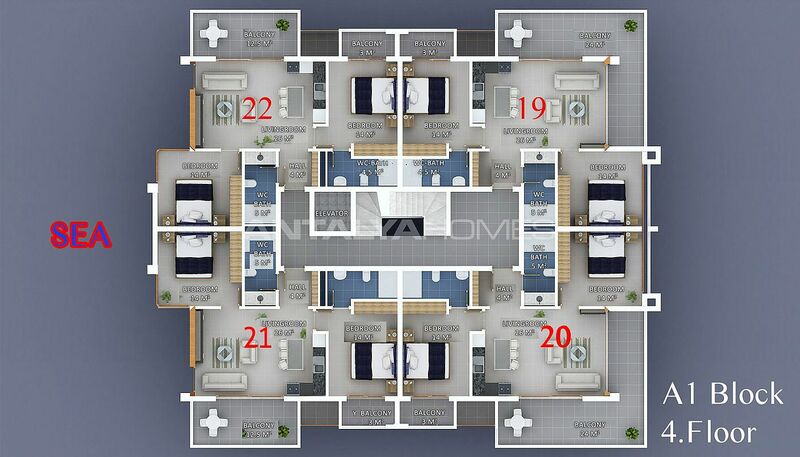 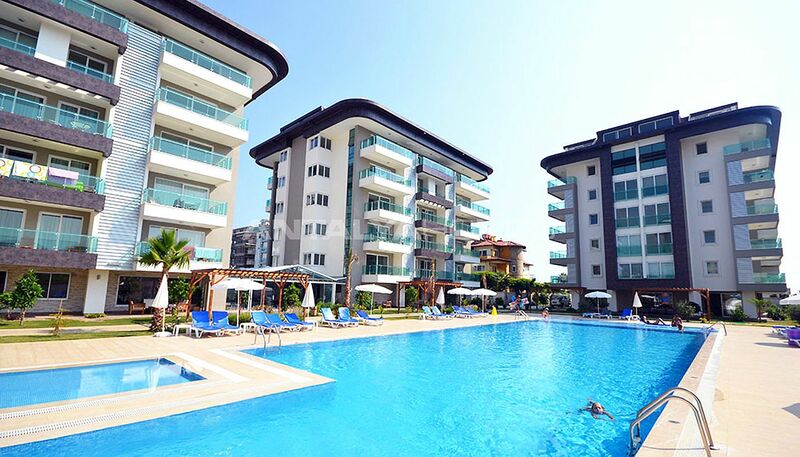 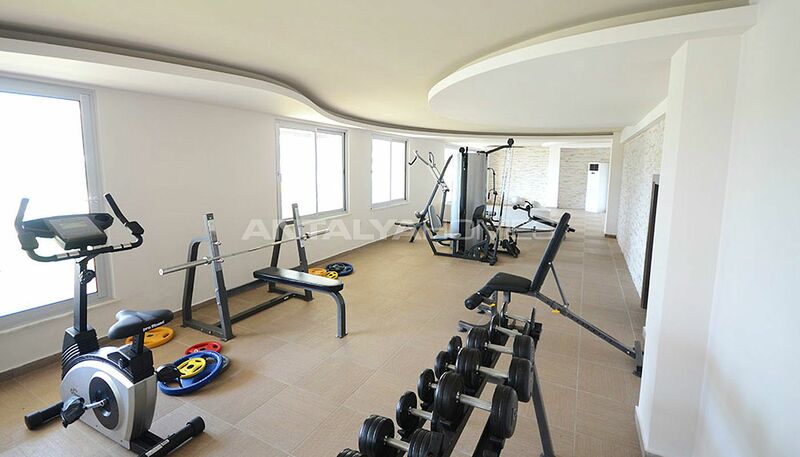 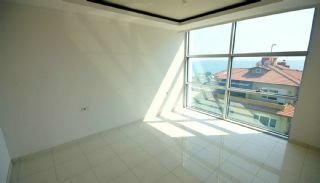 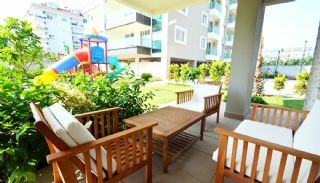 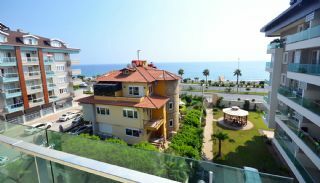 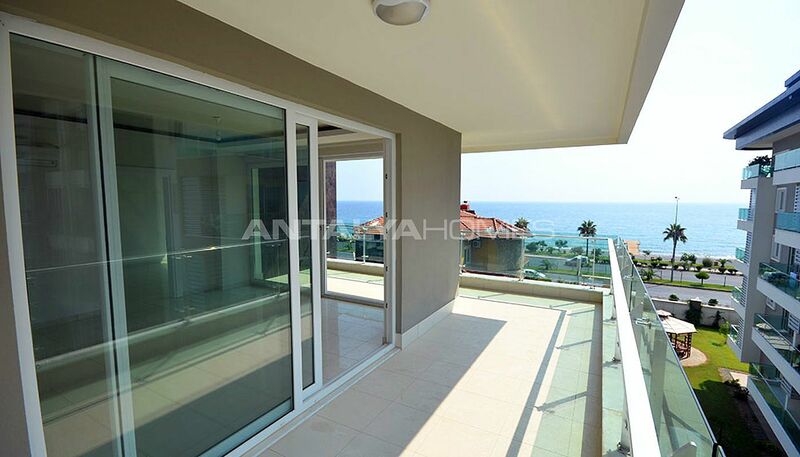 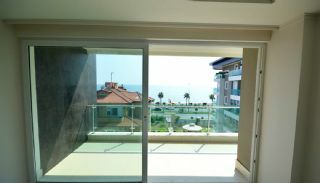 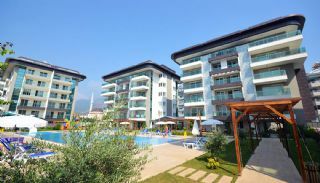 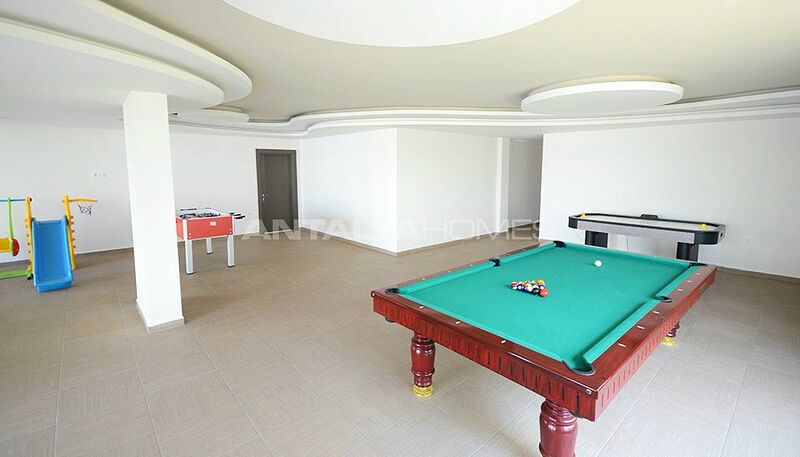 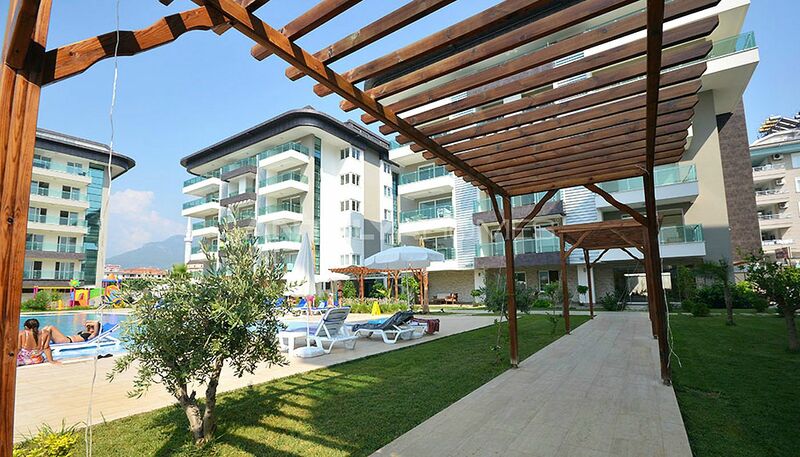 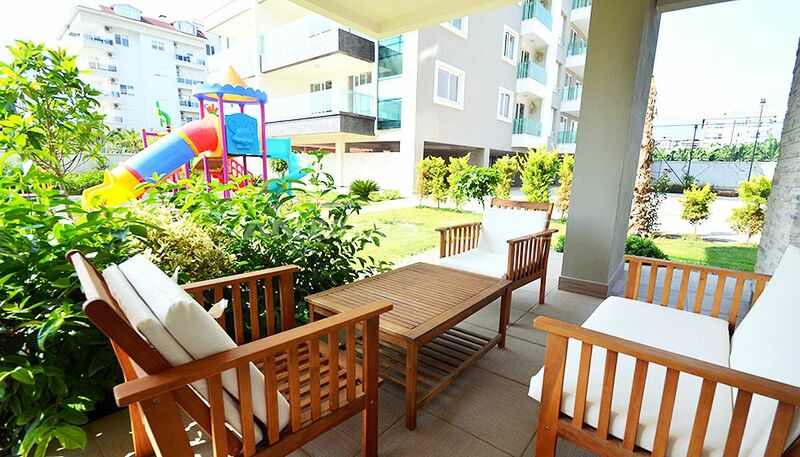 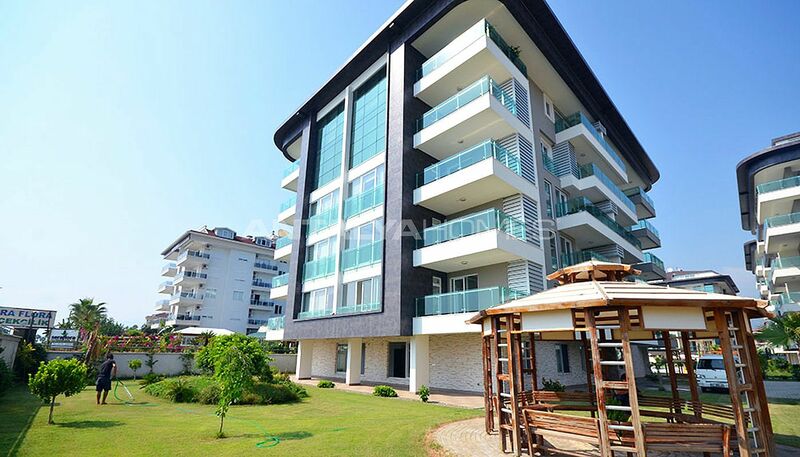 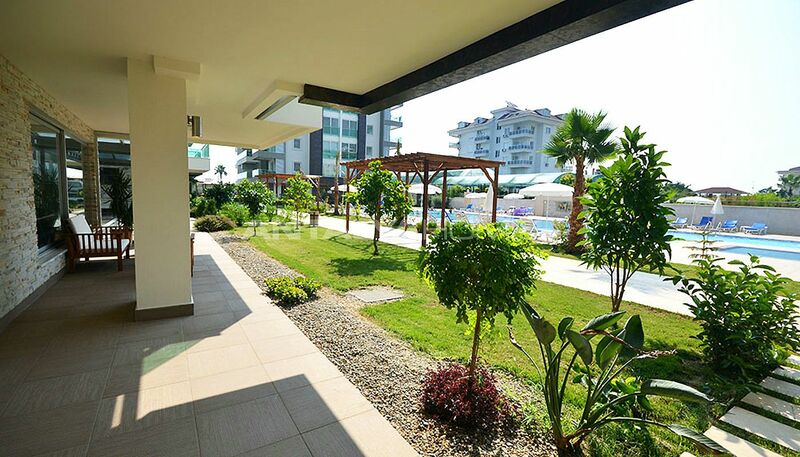 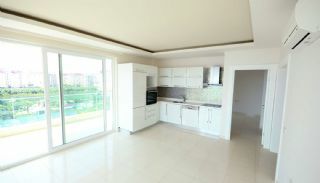 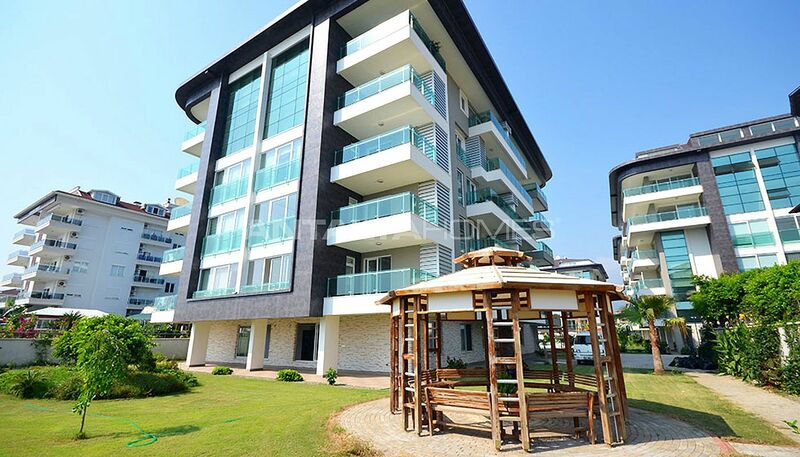 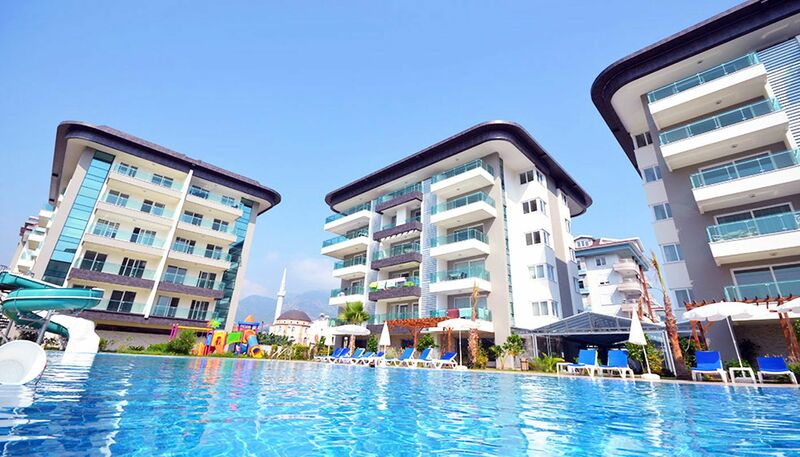 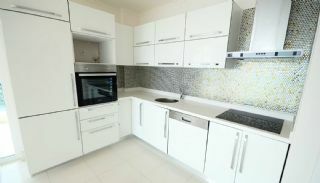 Seafront apartments are situated in a touristic area in Kestel, Alanya. 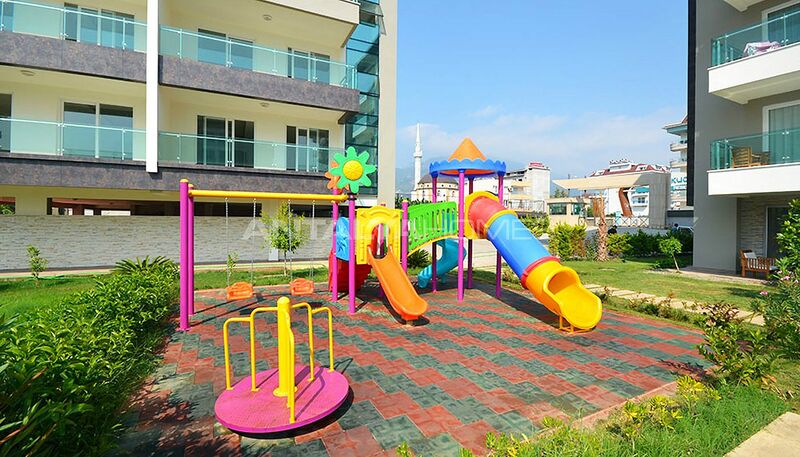 Kestel is a preferred area. 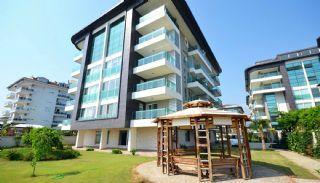 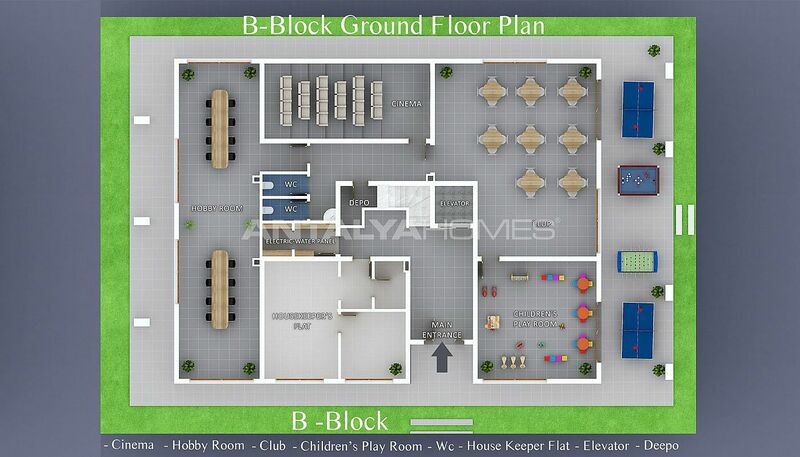 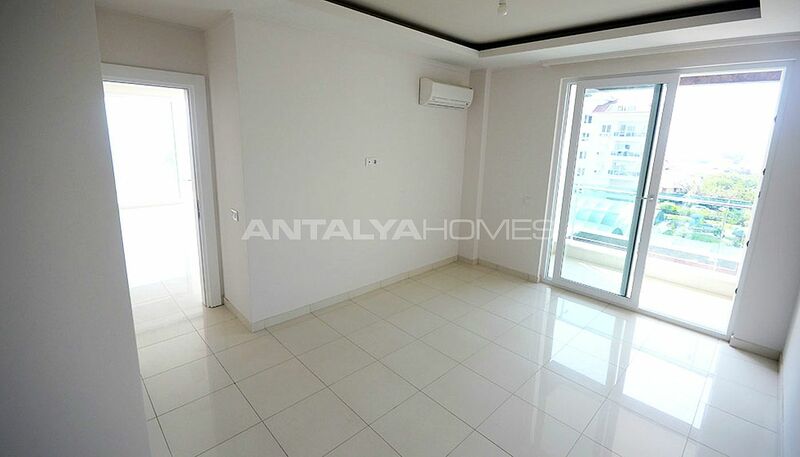 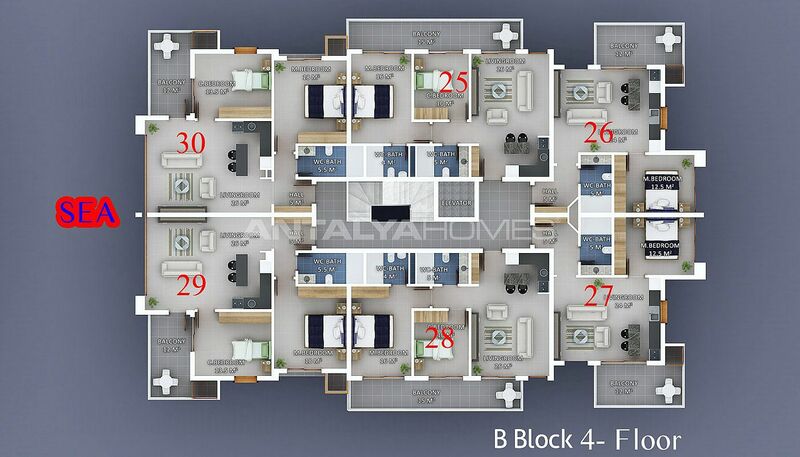 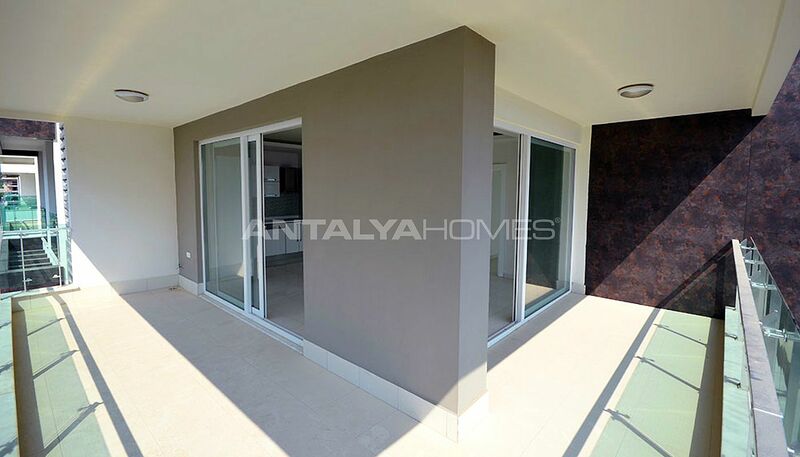 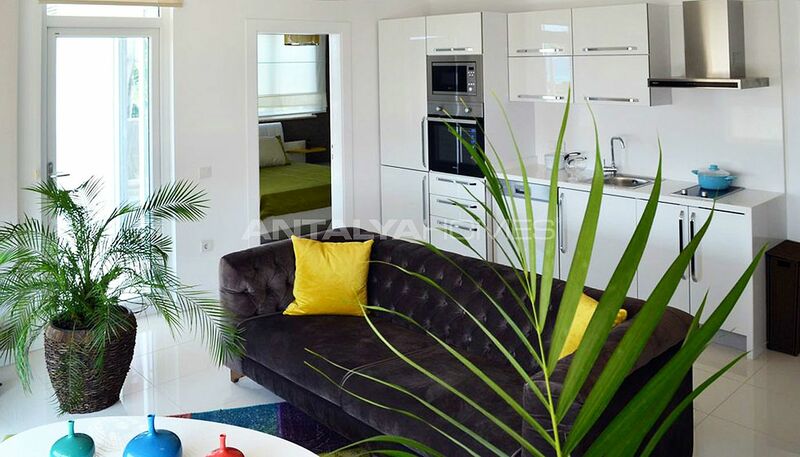 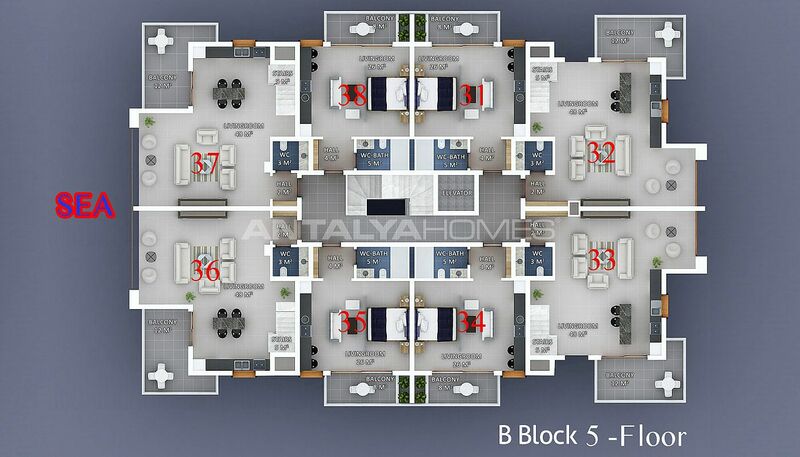 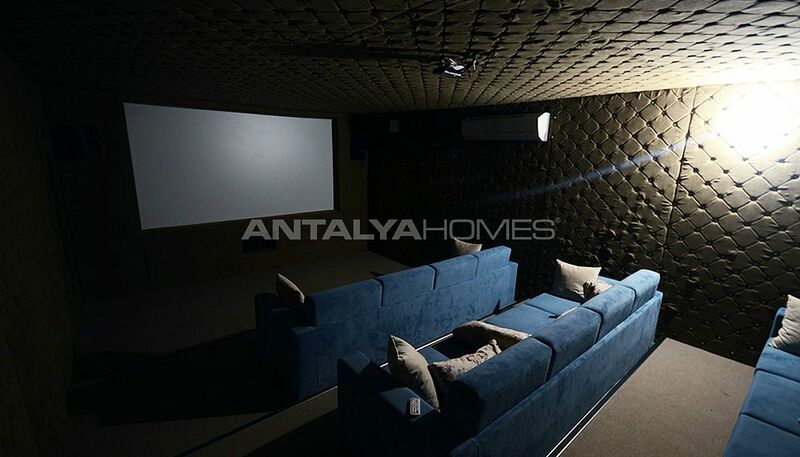 Apartments for sale in Alanya are close to the many social amenities like markets, cafes, restaurants, public bazaar and public transportation. 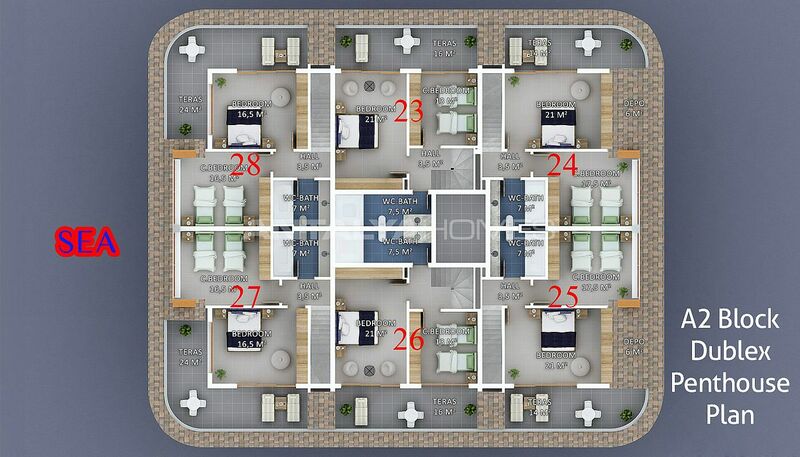 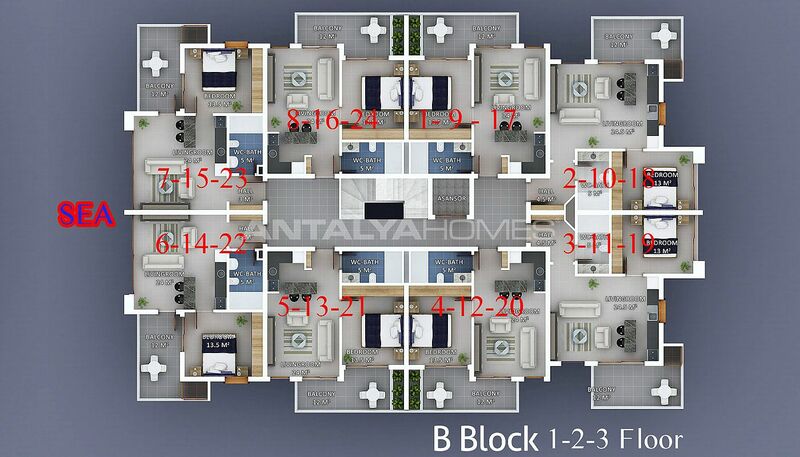 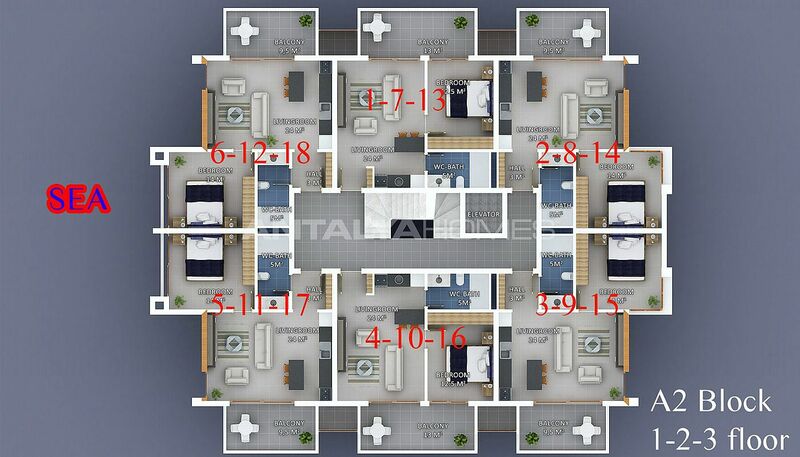 New apartments are 8 km to Alanya downtown, 300 meters to the shopping mall, 33 km to Gazipaşa Airport and 133 km to the International Antalya Airport. 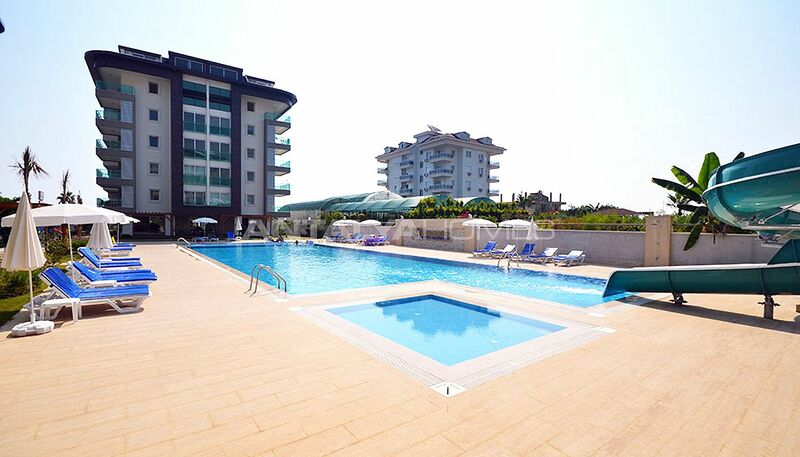 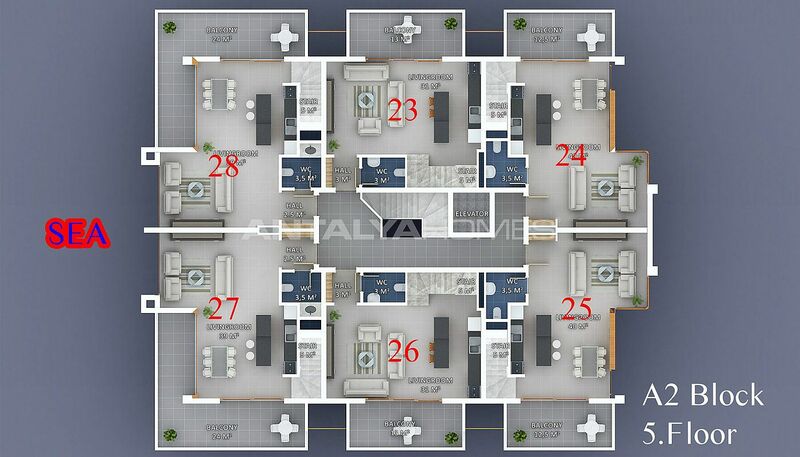 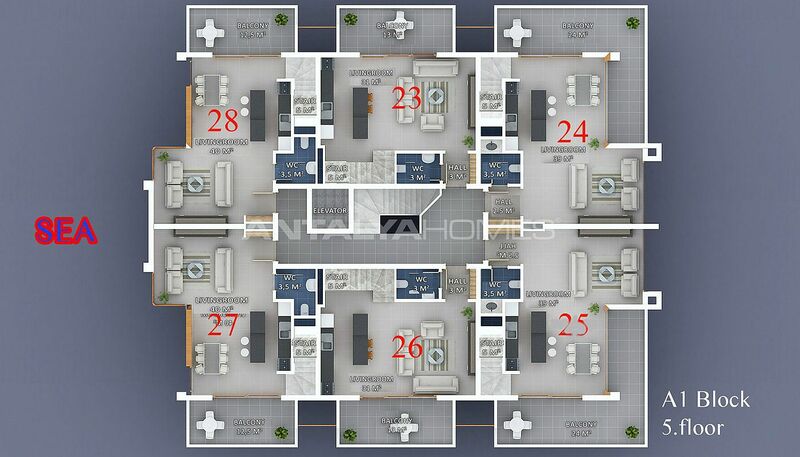 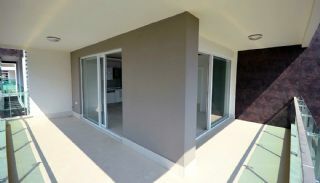 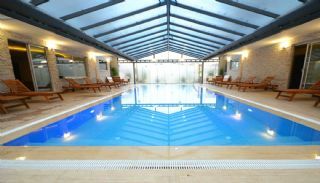 The prestigious residential complex is built on 6.300 m² total area. 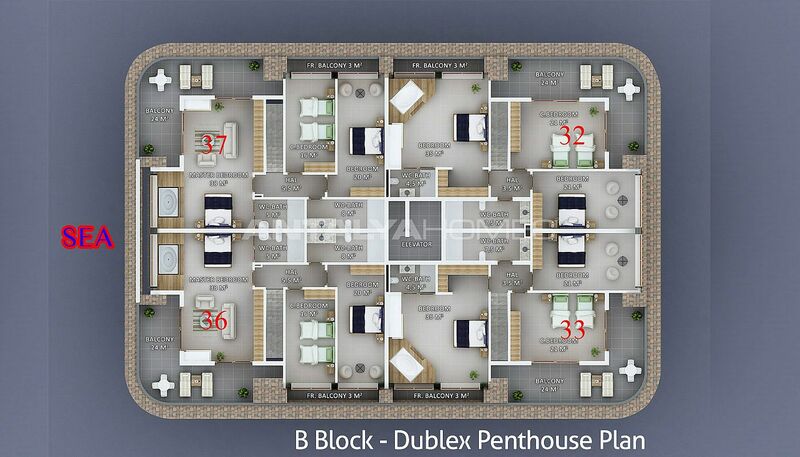 The complex consists of 3 blocks with 5 storeys and a total of 94 apartments. 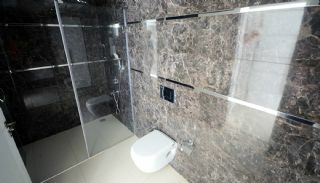 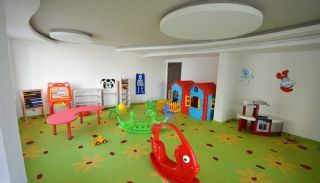 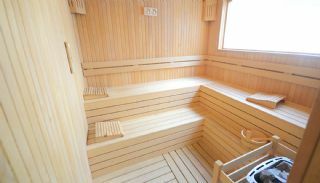 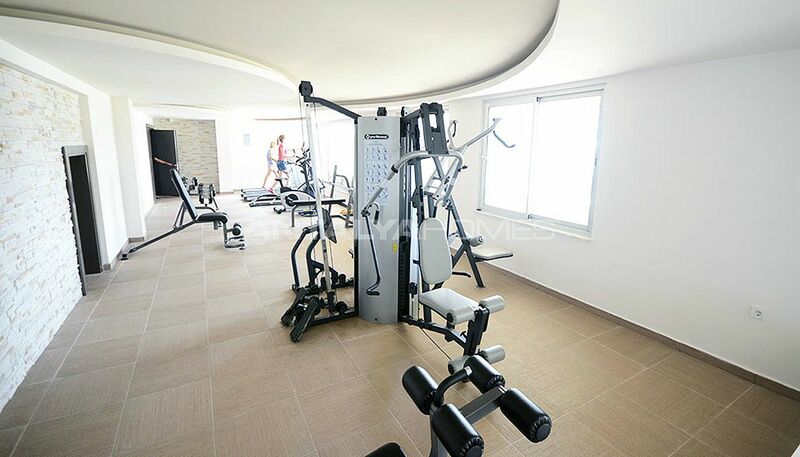 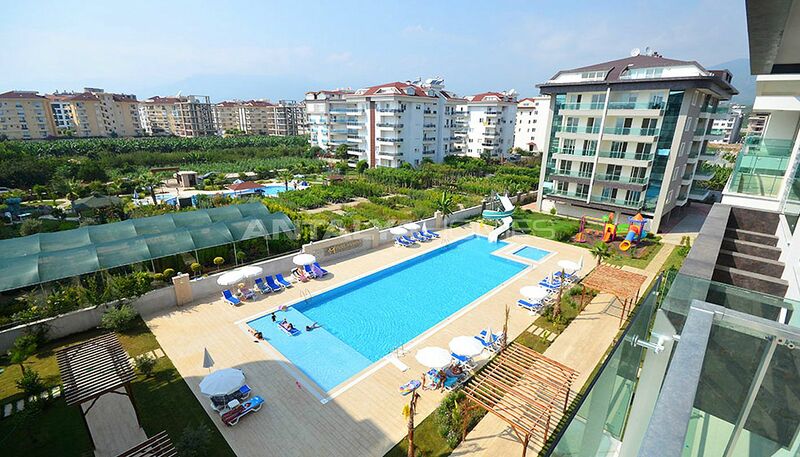 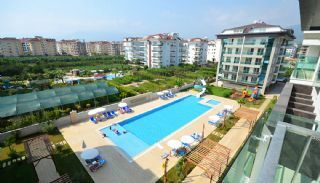 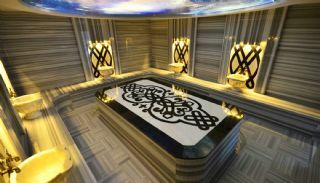 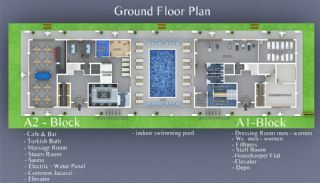 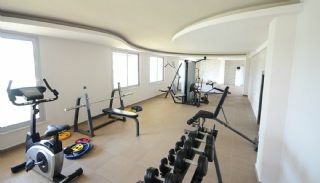 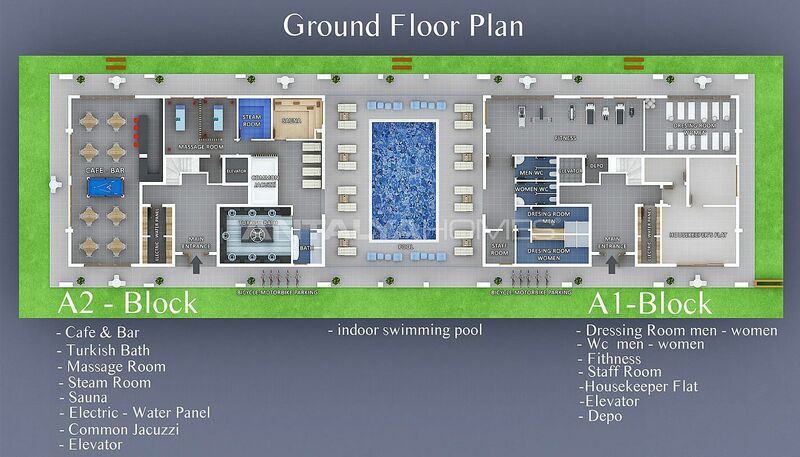 There are many facilities like a well designed garden, caretaker, sauna, fitness center, elevator, steam room, cafe, bar, jacuzzi, Turkish bath, generator, swimming pool, children's pool, children's playground, tennis court, basketball-volleyball courts, massage room, indoor swimming pool, car parking area, game room with billiard and table tennis, cinema saloon, 24/7 security camera system and security. 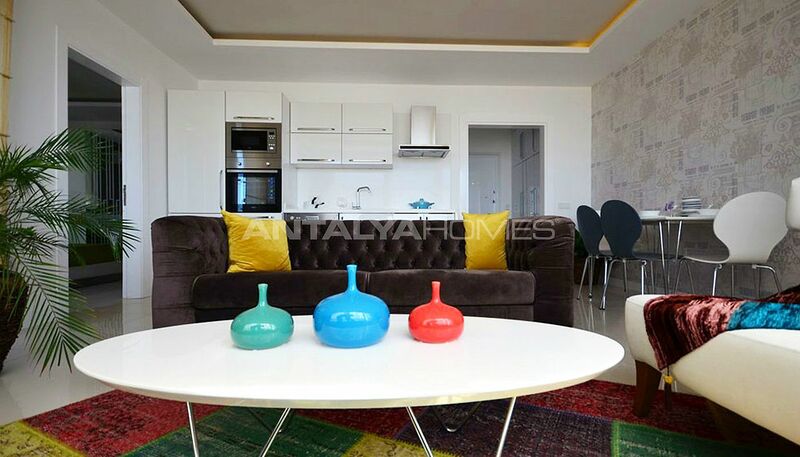 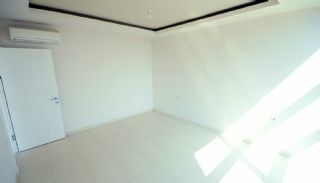 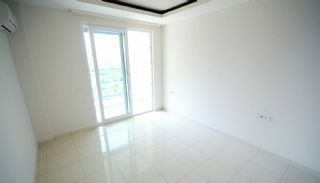 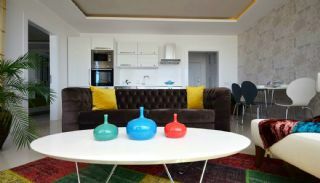 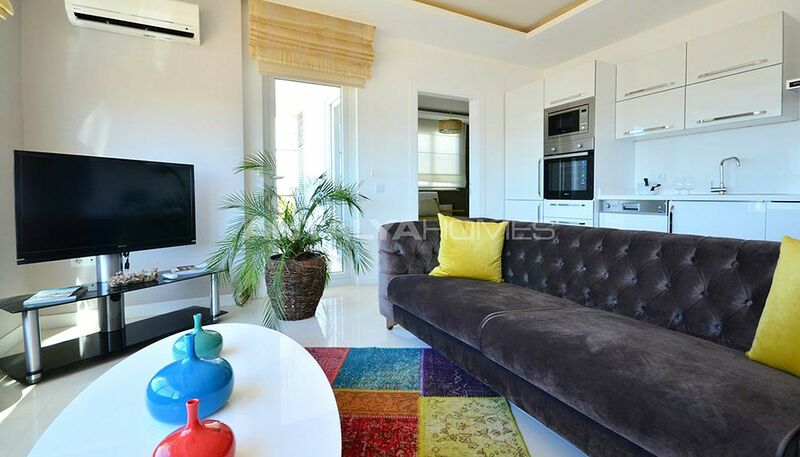 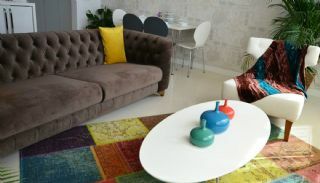 2 bedroom furnished apartment is 109 m² with a living room, an open-plan kitchen, a bathroom, an en-suite bathroom and a balcony. 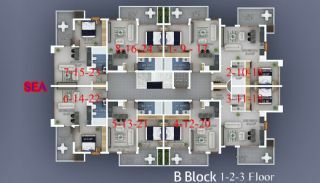 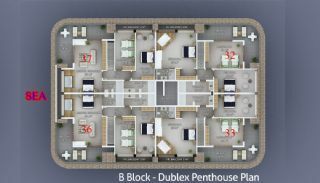 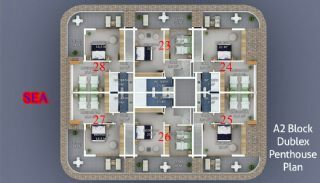 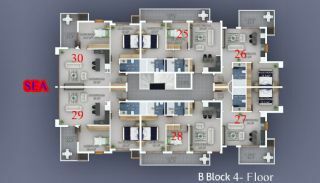 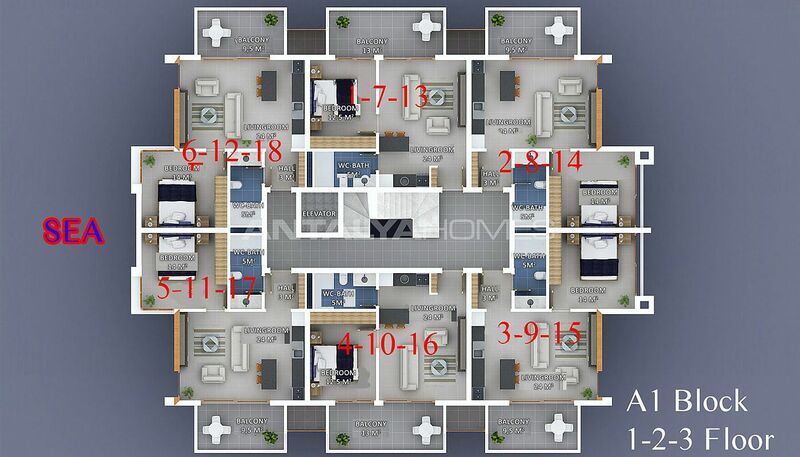 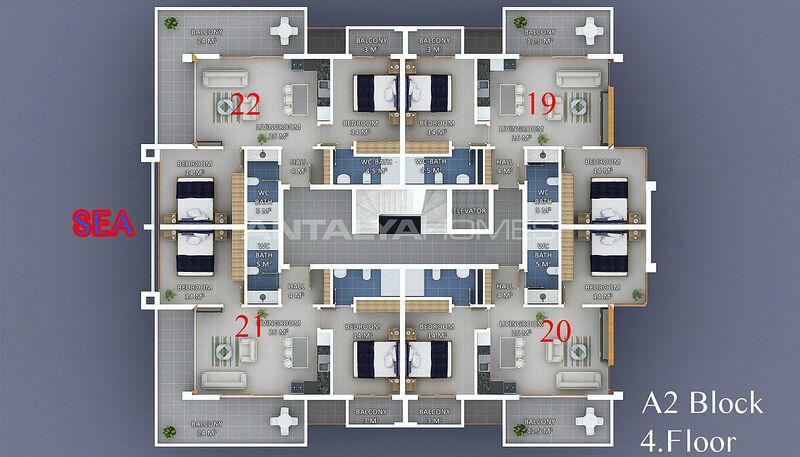 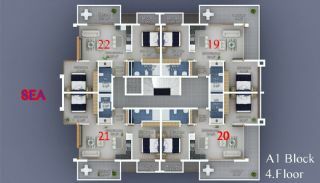 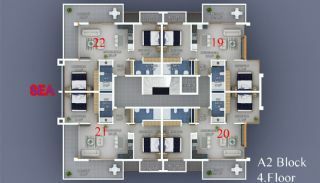 2 bedroom furnished duplexes are 137-180 m² with a living room, an open-plan kitchen, a bathroom, an en-suite bathroom and 2 balconies. 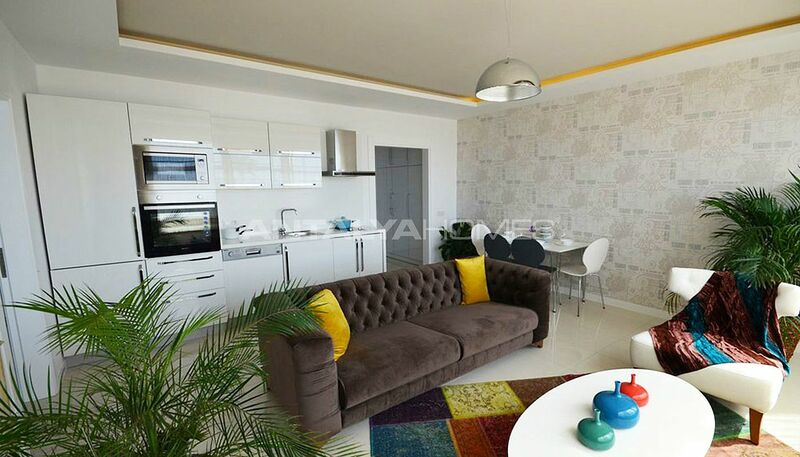 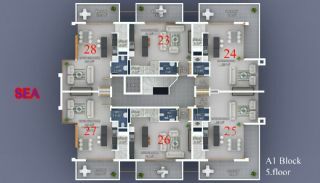 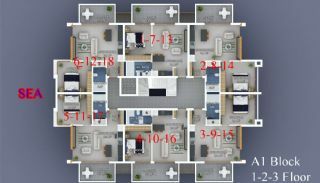 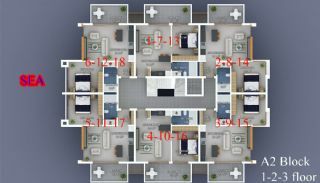 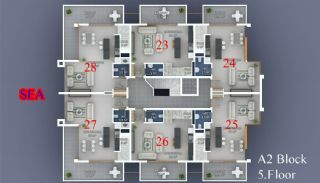 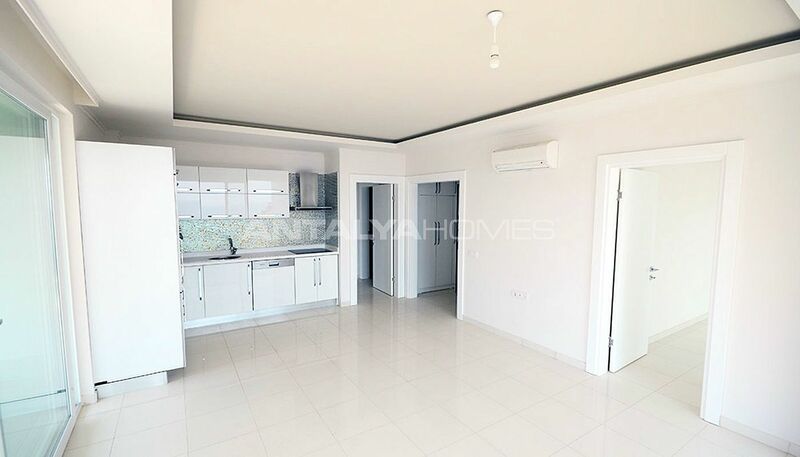 3 bedroom duplex apartment is 230 m² with a living room, an open-plan kitchen, a toilet, a bathroom, an en-suite bathroom and 2 balconies. 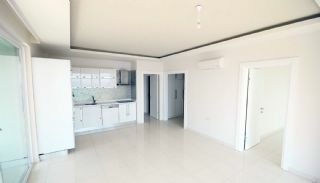 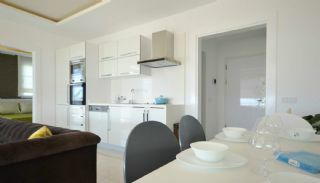 Sea view apartments have air conditioning in all rooms, kitchen appliances, electric water heater, white goods, underfloor heating system, door phone, satellite TV system and wireless internet connection.